HR and IT functions need to keep helping each other to identify gaps in employee working patterns that require attention, says Usha Baidya, vice-president, human resources, Asia Pacific, Middle East and Africa, BT. Technology has brought comprehensive changes to the way companies operate and is now integral to every department – especially HR. BT has a strong history of investment in HR technology and we host a global portal for all our HR systems, processes and policies. Over the years, HR technology has brought significant improvements to businesses. Gone are the days when HR systems were only used to hold employee data, payroll and recruitment information. These days, HR departments don’t even have to create their own recruitment software. HR functions can now connect cloud-based HR systems to social networks to acquire talent in competitive markets. We have entered a new wave of HR technology and the role and function of HR continues to change and evolve. Business leaders are requesting real-time employee insights “on the go” and HR departments need to be ready to meet this demand in real-time. This is particularly important as HR technology is no longer a simple tool just to make HR processes more efficient, but also used by different teams within an organisation to make strategic decisions. According to BT’s 2016 Mobile Multiplier Study, nearly 80% of employees want to work either remotely or from home, via technology. Without this capability, dissatisfaction levels will rise and they may eventually consider leaving the company. 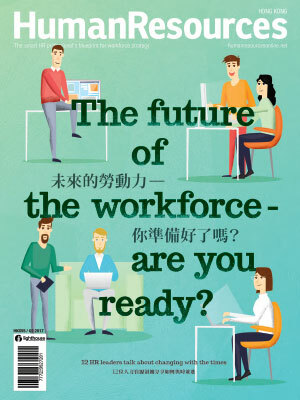 Employees also need accurate and reliable information in real-time and on-demand to perform their tasks efficiently and effectively – so technology has an important role in equipping people with the tools that allow them to do their job easily. HR and IT functions need to keep helping each other to identify gaps in employee working patterns that require attention, whether via changes in processes, systems or tools. Close collaboration between HR and IT departments also allows both teams to be aware of employee usage behaviour and how data security threats can be avoided well ahead of time, by finding the right tools that serve the desired workplace requirements. In the future, HR leaders need to focus on building digital HR strategies and roadmaps. There are lots of HR systems, products and apps available in the marketplace, which allow leaders to focus on productivity, employee engagement, innovation, team work, collaboration and coaching. As a HR function, we need to be on the front foot and develop advanced predictive models and data analytics to meet the changing demands of those managing an agile and mobile workforce. After the government simplified application criteria for its grant, we speak to local employers on their work-life balance priorit.. Two-thirds of HR leaders feel their staff have a balanced work-life. Why then do almost half of employees disagree?..